In 1918, after active service in the United States Navy, Charles Bierer Wrightsman moved to Fort Worth, Texas, where he engaged in the oil business as a lease broker and in several oil ventures. He accumulated sufficient funds by 1930 to purchase, and did purchase at private sale, the shares of the largest stockholder of Standard Oil Company of Kansas. He was then elected to the board of directors and, in 1932, became president of that company. He held such office through January 1951, when liquidation of that company, which had commenced in 1949, was concluded. At this time, Charles owned 93.7 percent of the outstanding stock. Charles B. Wrightsman grew up in Tulsa, Oklahoma, where his father, Charles John Wrightsman, was an oilman. In 1914, however, C.J. Wrightsman announced he had sold all his property in Tulsa and was moving to New York. He and several independent oilmen from Oklahoma were then in the process of contracting to sell oil to the U.S. Navy for a set price. By 1916, having concluded his private education at Phillips Exeter, Stanford University in California and Columbia University in New York City, C.B. went with his father to Kansas to look over oil properties his father had just purchased in the El Dorado field. In 1915 the Wrightsman family had moved from Tulsa to New York, where C.B. had fallen in love with airplanes, although his father had attempted to discourage him by giving him a boat. The Tulsa Daily World wrote in April 1917 that C.J. finally consented to allow his son to enlist in the volunteer aviation corps and train as a pilot. As a Navy Ensign, C.B became executive officer and aide to Lieut. Comdr. Albert Cushing Read (nephew of the late Admiral Albert Smith Barker). 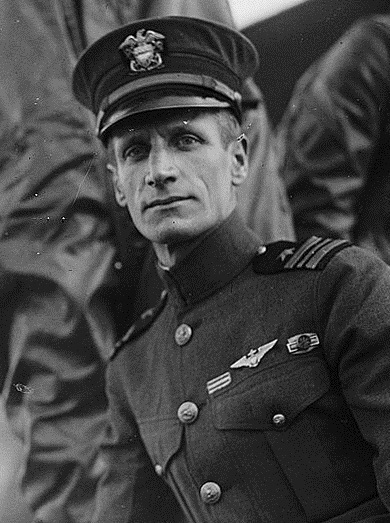 Commander Read had started a flight school at Bay Shore, Long Island, New York, one of the millionaires' units described by Marc Wortman in his 2007 book, The Millionaires' Unit: The Aristocratic Flyboys Who Fought the Great War and Invented American Air Power. By late 1917 Commander Read and Ensign Wrightsman were almost finished working to build a new school south of Miami. Upon the liquidation, Mr. Wrightsman received a 93.7 percent interest in all of the properties, including one million dollars in cash distributed to him. With the removal of the corporate structure, his financial position changed from stock ownership to direct ownership of oil-producing properties, which he has continued to operate as an individual under appropriate arrangements with the owners of the 6.3 percent interests. Thus, he commenced and has continued to receive directly a large cash flow, which had previously gone into the corporate coffers. Aside from his investments in Standard Oil of Kansas, Mr. Wrightsman's ownership of stock, as well as that of Mrs. Wrightsman, has been quite limited. In 1959, Wrightsman Investment Company was organized, with Mr. Wrightsman as the sole stockholder, owning minor Oklahoma oil properties contributed by Charles, land on which plaintiffs' Palm Beach, Florida, home is located, and limited assets previously owned by Charles in New Mexico, Mississippi and Nebraska. Plaintiffs acquired 1,583 shares of Wrightsman Petroleum Company in 1960 and 1961, a company which had been organized by Charles' father. At the time of the trial of this case, Mrs. Wrightsman was the beneficial owner of a trust for which a bank, as trustee, had purchased stock. Mr. Wrightsman believed that oil was one of the best possible investments, if selectively made. His trips to the Persian Gulf countries in the mid-1950's indicated to him, however, that there was a possibility of an oil glut, which caused him to conclude that he should make an effort to hedge his investments in oil with investments of other kinds. He sought advice from qualified employees. The certified public accountant in charge of his accounts recommended purchase of unimproved real estate and stock in corporations not in the oil industry. These recommendations were not followed. By this time, Mr. Wrightsman had formed the belief that works of art were an excellent hedge against inflation and devaluation of currencies, that they represented portable international currency, since there were no restrictions on export from the United States, and that works of art were appropriate assets for investment of a substantial portion of his surplus cash being generated. These beliefs and investment intent were expressed to numerous friends and associates and the employees of his business office. Mrs. Wrightsman's assets have been derived from income through Mr. Wrightsman under community property laws and from funds received from Charles in the form of gifts. Jayne Larkin Wrightsman fully shared Charles' beliefs and intent concerning investment in works of art. Their marriage has been one of constant association and travel together, with common interests and goals. In their art collecting activities, plaintiffs have specialized in the acquisition of 18th century French works of art. Mrs. Wrightsman is not just a nominal party herein because of the filing of joint returns by the parties. She owns about three-fourths of plaintiffs' works of art, either by number or by value. Their activities in the acquisition and holding of such works of art have been conducted jointly. I have been unable to find evidence so far that Charles B. Wrightsman lived in Fort Worth. He joined the military during WWI, while a student at Columbia University. 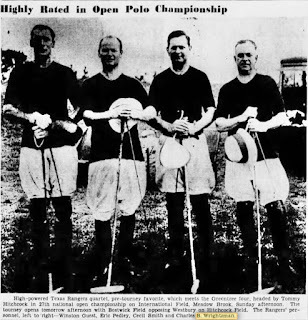 His father, Charles John Wrightsman, did move to 935 Hillcrest in Fort Worth, Texas, in 1938, living adjacent to the River Crest Country Club golf course, and the elder Wrightsman and his wife remained in Fort Worth until their deaths in 1950 and 1959. The residence at 805 Hillcrest (at the other end of the block from C.J. Wrightsman) had been built in 1927 by attorney Edwin T. Phillips, father of David Atlee Phillips----but was sold shortly after his death in 1928. Mrs. Phillips then moved less than a mile away to the northern tip of the golf course on Rivercrest Drive in Fort Worth. The background of CIA Agent David Atlee Phillips, and his ancestry, has been set out in detail elsewhere in this blog. This blog has written previously about Charles B. Wrightsman as well.